Malaga CF today completed their kit set of the 2018-19 season with the release of the new home kit for the 2018-2019 season. 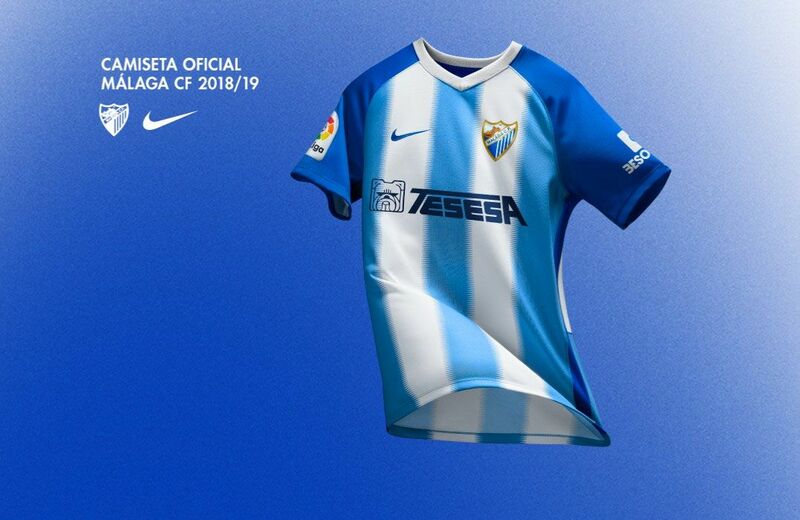 It is made by Nike and features the logos of three Málaga-based companies: Tesesa as the team’s main sponsor, together with Benahavis on the back and BeSoccer on the sleeves. The new Málaga CF 18-19 shirt differs from last season in various aspects. First, the new shirt has a white V-neck design and the vertical lines that separate our Blue and White colours are in a zigzag formation which gives a modern, dynamic effect. A royal blue line is featured on the sides and sleeves, which is where we see the name of our second sponsor, BeSoccer. 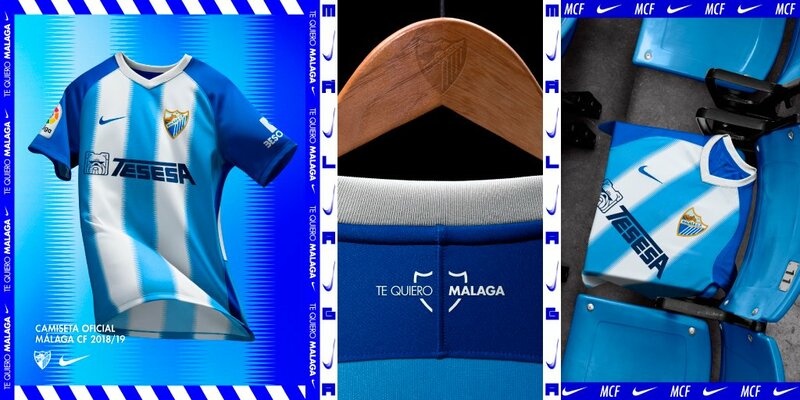 In addition, the Málaga shield is far more integrated on this Malaguista jersey. The back of the shirt is crowned by #TeQuieroMálaga in white and the player name and number is featured in white with blue tones on a plain blue background. One of the new additions to the back of the jersey is that the name of the club’s third sponsor, the Málaga municipality of Benahavís, appears at the bottom in a box on a background of Blue and White lines the same as on the front. 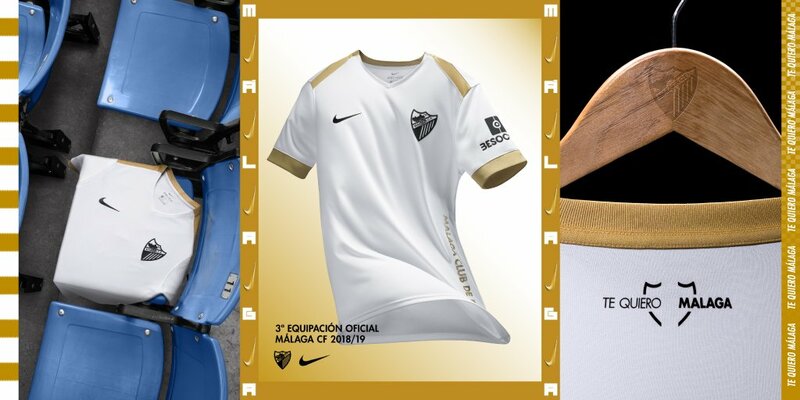 A stylish design, the Malaga 18-19 third jersey is white with black logos and golden applications. On the left side, “Málaga Club de Fútbol” is embroidered with fire and in golden color. On the back under the collar is a spcial graphic with the slogan #TeQuieroMálaga.